I’ve heard the words, “Detroit is coming back,” since I was young. My parents are native Michiganders with my mom hailing from Allen Park outside of Detroit and my dad from Flint. I grew up listening to stories of Detroit’s grandeur. 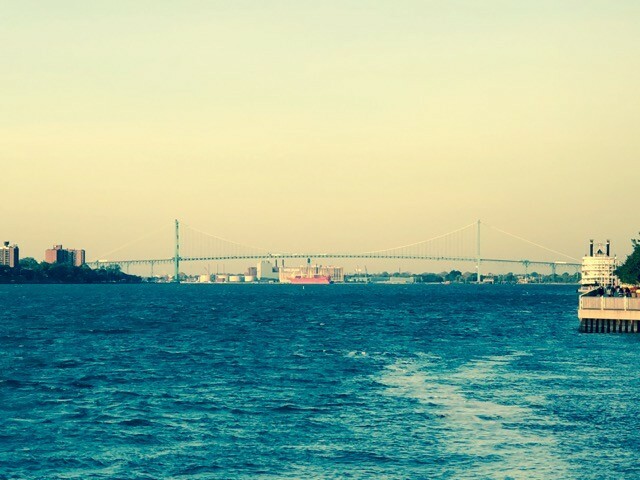 My maternal grandparents played as children under the Ambassador Bridge and my mother referenced happy times shopping at the famed Hudson’s department store, attending shows and eating at Detroit’s best restaurants. Anyone with a Detroit connection talked of great plans for the city’s revitalization one day and the rest laughed and conceded it would never happen and so became the running joke among natives and transplants for decades. 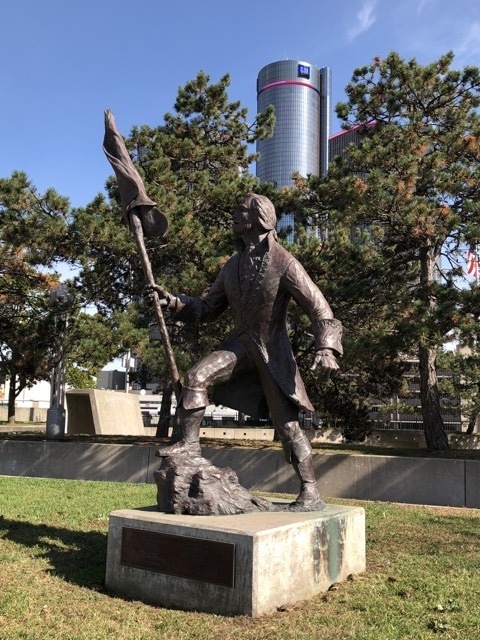 People would brag about the enormous potential of the city situated on the Detroit River and rave about the busy international crossing between the United States and Canada, yet Detroit steadily declined with developers and loyalists awaiting its upswing. Many believe Detroit’s economy started to decline in the 1950s with the automobile industry struggling but the turning point occurred in July 1967 when Detroit experienced one of the worst race riots in the country. My dad, a member of the Michigan Air National Guard – Battle Creek, was activated during the riots. Still short a summer class to graduate, the Guard called him to service in Detroit. He admits he didn’t even know how to carry a gun (and didn’t) but went to work with the Michigan State Police. He said, “There were a lot of prejudices going on,” and recounted a story of how the team he worked with chased a man who broke into a store and stole televisions. 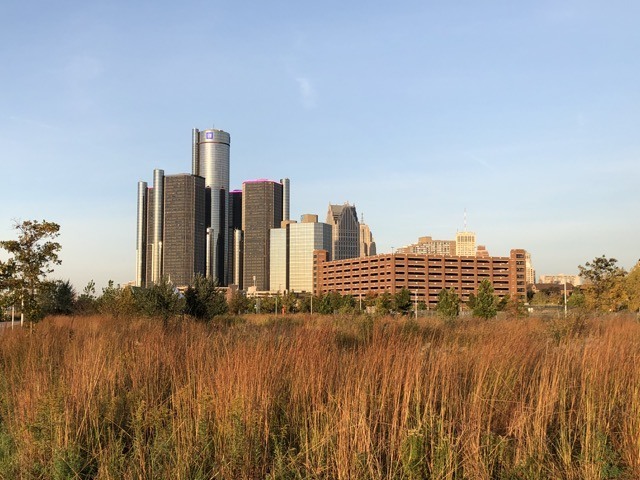 Until recently, my history with Detroit conjured negative connotations and I avoided visiting. I heard whispers of Detroit’s return and remained doubtful. That changed last week when I stayed in Detroit for the first time in 20 years. I won’t say, “It’s back,” but it is on a positive road to recovery evidenced by the countless construction cranes spread across the city. Detroiters and Michiganders alike are excited and proud with good reason. It’s worth a day or two to explore this comeback kid with a plethora of nicknames –Motor City, Motown, Hockeytown, Renaissance City. 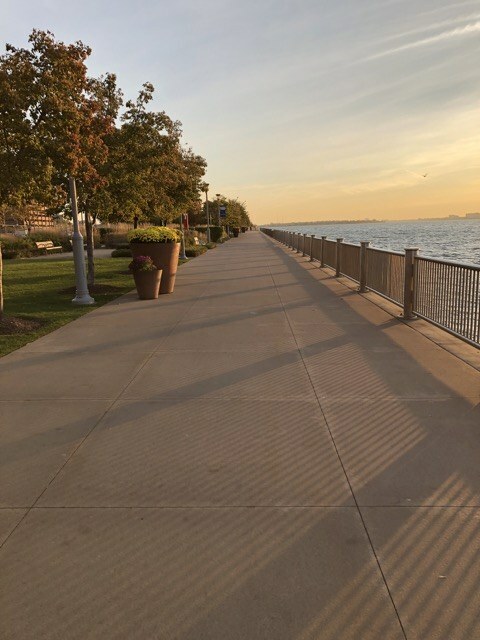 I woke up at sunrise to a blustery clear day and grabbed my sneakers for some exercise along the RiverWalk, (Detroit International Riverfront), a 51/2 mile path stretching from the Ambassador Bridge to Belle Isle. I walked east for an hour before turning back finding lots of locals and tourists shared the same idea. It’s easy to rent a bike, roller blade or relax on many of the park benches. There are sculptures and art pieces, seasonal restaurants and state parks lining the path and restored landscaping enhances the experience. Detroit is a walkable city even with all those cars. 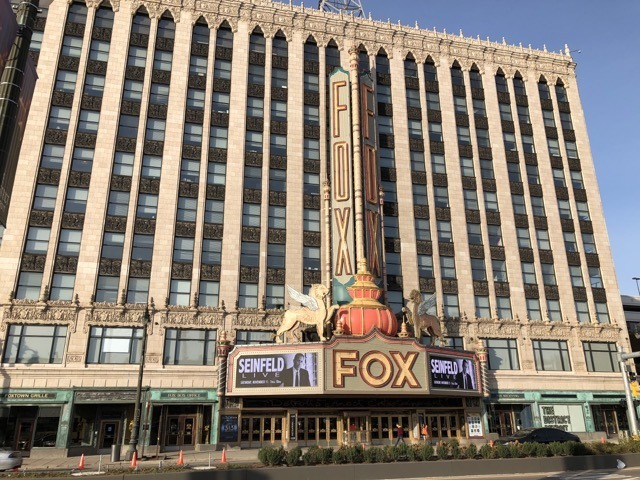 In need of coffee, I turned my sights on Woodward Avenue, the main thoroughfare of Detroit. The area is flush with businesses relocated from the suburbs. The likes of Starbucks, Shake Shack and Potbelly further affirm my belief that the “new Detroit” would not be recognizable to people who left years ago. Armed with caffeine, I sat for a bit people watching at the Campus Martius Park. Workers were busy converting the public area from a summer hot spot with volleyball and music to a winter wonderland with ice skating and hot chocolate. I continued along Woodward shocked by the modern buildings and impressed with the detail that has gone into preserving the heart of the city. I snapped pictures with my family in mind hoping to show them the changing story of Detroit, a resurgent city with growing opportunities. “If you build it, they will come,” ran through my head and I was overwhelmed with happiness for my friends who stayed local and weathered the storm. It’s thrilling to witness the transformation firsthand. All of Detroit’s sports teams play in a few block-radius along Woodward. 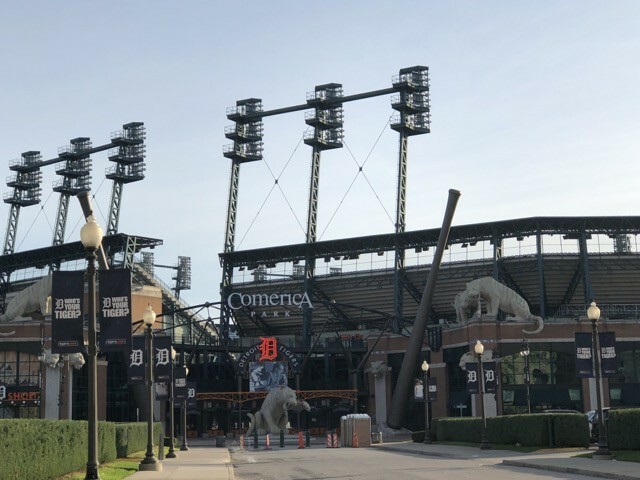 The Red Wings(hockey) and Pistons(basketball) play at Little Caesars Arena (I appropriately named it the Pizza Palace), with the Tigers(baseball) and Lions(football) across the street at Comerica Park and Ford Field respectively. My dad used to drag my brother and me to Pontiac for the big Thanksgiving Lions game at the Silverdome. It is a brilliant idea to relocate all the sports teams in one place. Now families and friends can spend an entire day eating and drinking while rooting their favorite team onto victory. 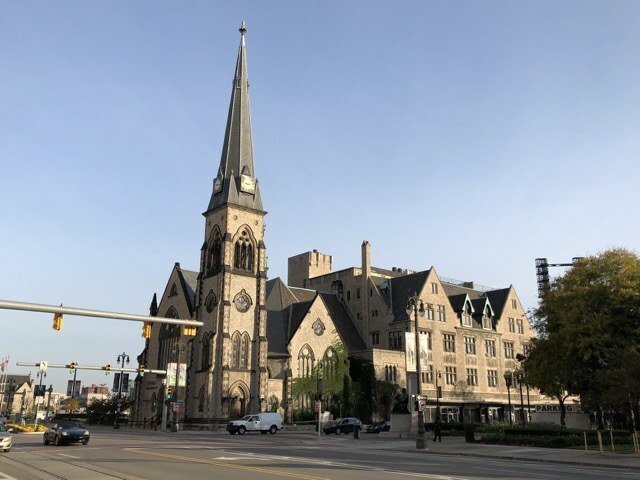 On a recent trip to Detroit this summer, Suzette Loving, who left home after college for job opportunities, walked Woodward Avenue from the river to the Detroit Institute of Arts Museum –in awe. She explained going alone by foot was not a good choice a few years ago. I sensed pure joy in her voice when she talked about all the revitalization. “If I didn’t have a family, house and great job, I could move back,” she said. That is quite a sentiment from someone who lived in San Francisco, Chicago and Denver. 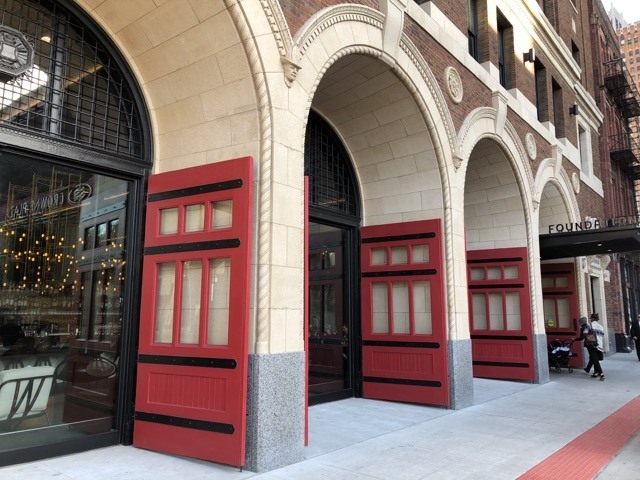 Joining me in Detroit, Suzette passionately pointed out new buildings and speed walked me along Woodward Avenue, then to Greektown and back around the Michigan Opera House and straight into a hip coffee shop, the Roasting Plant –a trendy place not found in downtown until now. I witnessed the hope and possibility through her eyes as she summarized her childhood and early adult years in the places that remain — A bar here and restaurant there. Her endorsement of Detroit is an understatement. “Seeing people coming together and in some cases taking a risk to invest their business in the city is even more inspiring. Probably my favorite part, though, is the sense of pride the community has resurrected. The pride was always there but now it is outwardly visible – people have their chin up and heads held high. You can feel that,” said Loving. 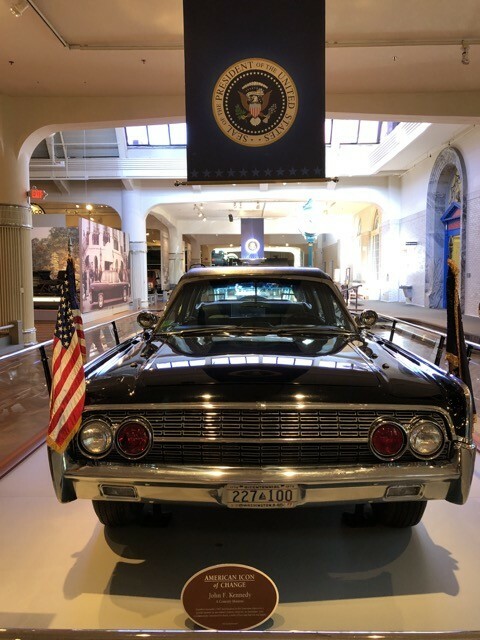 While it’s not located in downtown Detroit, a visit to the Ford Rouge Factory and Henry Ford Museum in Dearborn about a 15-minute drive from the city is highly recommended. My maternal grandfather was one of 8,500 students who graduated from the Henry Ford Trade School in the 1930s and I’ve always maintained an affinity for the car industry, which provided a source of income for relatives on both sides of my family. The Museum highlights stories of American innovation, trailblazers and explorers with plenty of educational exhibits for everyone. I particularly enjoyed the Presidential Motorcade and the Civil Rights and suffragist displays. My trip to Detroit sparked many emotions in me. 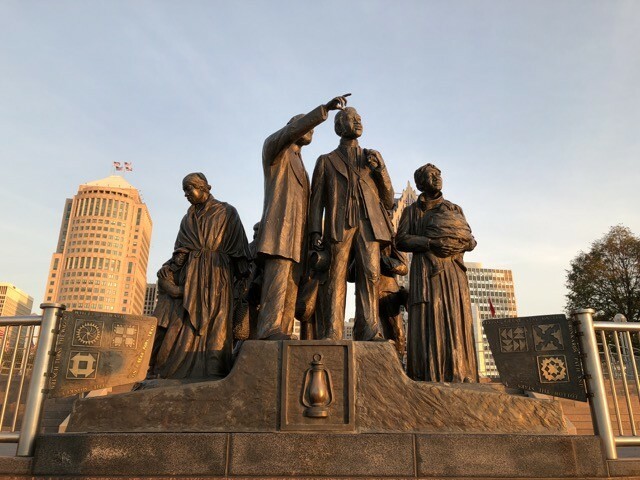 As I gazed at the Ambassador Bridge in the distance, or posed with a statue of Antoine de la Mothe Cadillac with the GM building in the background, I relived the stories my grandparents used to tell me. I didn’t walk in their exact steps but they were present. I celebrated their history and their sacrifices and triumphs. They would be beaming with anticipation of what is to come for Detroit. 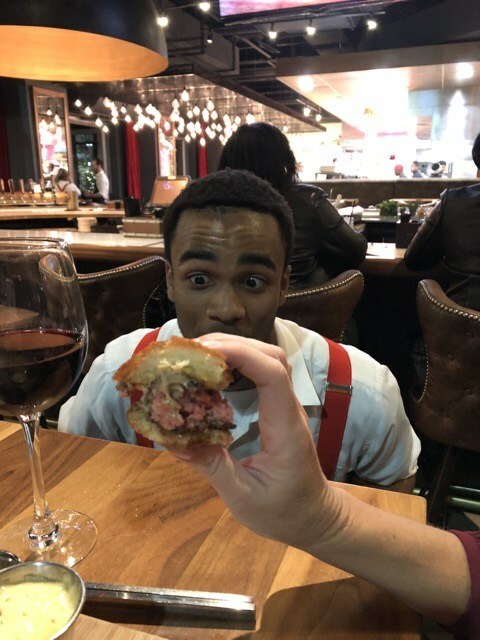 la Dolche Vita – Hidden gem. In summer, enjoy a beautiful garden with a string quartet. Who needs Italy?